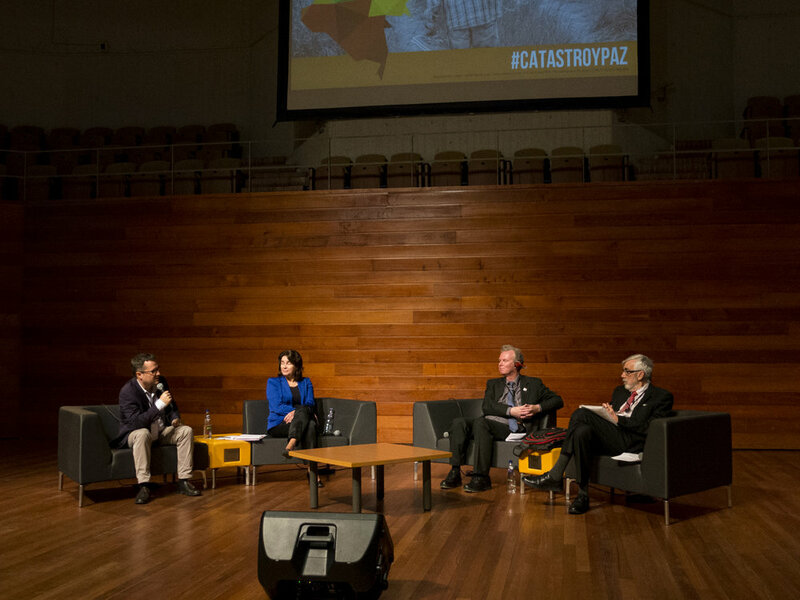 On Monday 4th of December, Mathilde Molendijk and Christiaan van Lemmen from Kadaster spoke at the Conference ´Cadastre for peace-building´, organized by the University of the Andes in Bogota. They were invited to talk about one of the biggest challenges for Colombia after having signed the peace treaty with the Farc: The administration of property and land use rights as the first step to socio-economic development of rural Colombia. Kadaster is giving Colombia technical support to develop a new land administration system. More than fifty years of conflict in Colombia have been fuelled by the lack of property rights in rural areas, where the majority of the municipalities does not have a cadastre. More than six million people have been displaced from their lands. Therefore, a key element to implementing the Colombian peace treaty will be the founding of a 'multipurpose´ cadastre, allowing the formalisation and registration of land and property rights. “This will not only give legal security to land owners to do investments, but it will also provide income for the municipalities themselves,” says Javier Perez Burgos, director of the institute for Sustainable Territorial Development of the Colombian Ministry of Planning, and the first speaker of this conference. Therefor the Netherlands’ Cadastre, Land Registry and Mapping Agency – in short Kadaster – is supporting Colombia with a fast, simple and low-cost methodology for administering land: Fit For Purpose (FFP), allowing farmers to register the boundaries of their lands using a smartphone application. The goal of FFP is to map the whole country in no more than seven years.